Hey all! Long time no blog. 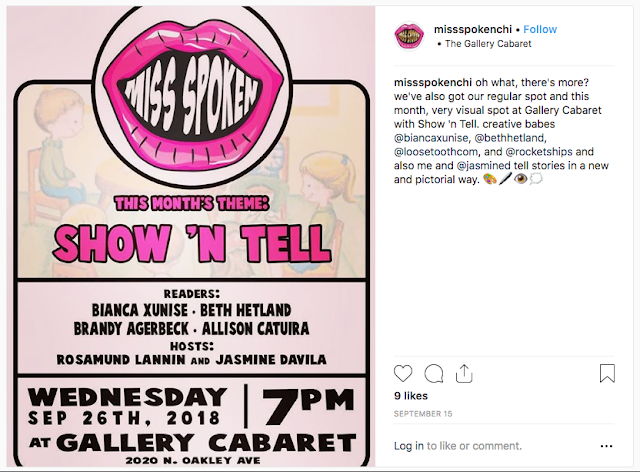 This is just a really quick update to say that I'll be preforming a brand new piece about my complicated feelings about my drawing chair that I have to replace. 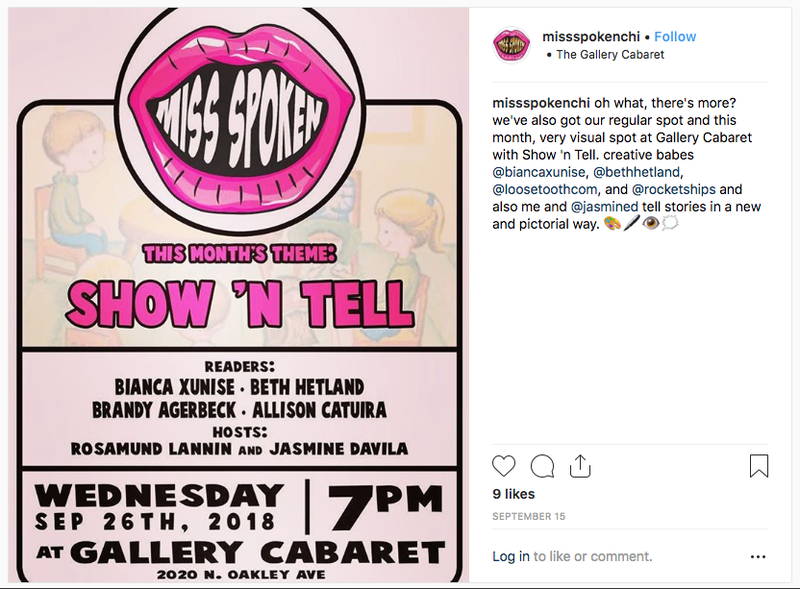 What: Miss Spoken, a live reading show highlighting ladies!